Aizawl FC head coach Paulo Meneses sounded visibly upset with Mizoram Football Association’s treatment of his players during the Mizoram Premier League (MPL) ahead of their I-League match against Churchill Brothers on Wednesday. “Andre could not train in the last 2-3 weeks due to injury in MPL. I tried to complain and defend our players in MPL. I tried to advise the Mizoram FA and the referees, to protect our players. Aizawl FC represents Mizoram. I advised many times but nobody cares and we don’t have our best players,” accused the coach of the defending I-League champions. When asked about their upcoming match against Churchill Brothers, the coach said he is ready for the fight. 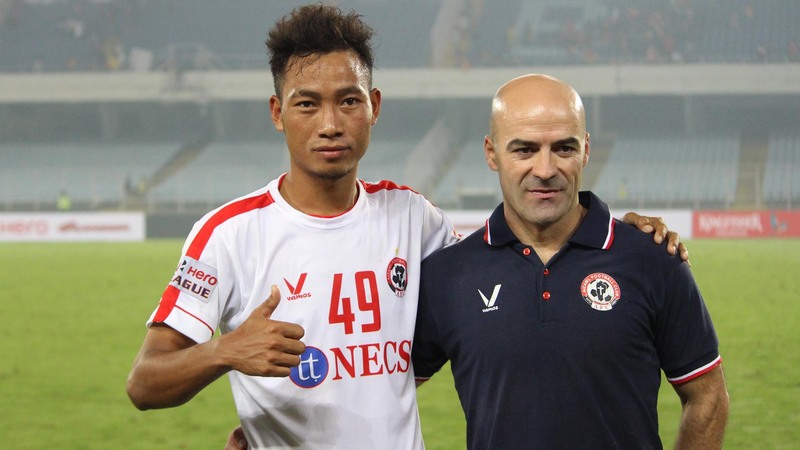 Aizawl had undergone a squad overhaul over the summer but Meneses is confident about his side’s title defence. “We will fight to defend our title. We lost 6-8 players but we got to mix a lot of players and good foreigners. I think we have a competitive team and we will fight to defend the title,” affirmed the Portuguese coach, who also gave an update on the fitness of Shylo Malsawmtluanga, alias Mama. “Mama started to train again with us this week on Monday. He has not fully recovered and needs a few days more to be fit,” added the coach. Things haven’t been good for Goa-based side Churchill Brothers and after consecutive defeats in their first two games of the season, coach Alfred Fernandes is hoping for a turning point. “We have been working hard but the results are not going our way. Hopefully, tomorrow’s match can be the turning point. We committed a lot of mistakes against a team like Mohun Bagan. That cost us dearly. Tomorrow will be a new day,” Fernandes said. Fernandes also said that his opponents, being the defending champions, will feel the pressure when both sides take the field.